Redpoint VenturesRedpoint Ventures partner Tomasz Tunguz. Every day, the head of planning at ThredUp, the used clothes marketplace startup, looks for customers who buy a mix of both women’s and kids’ clothes. It’s because data has proven those customers are likely to spend more even without getting discount offers. ThredUp gives them different types of discounts than people who just buy one or the other. “With literally tons of clothing shipped every day, the company gets to track a ton of data and make decisions based on it,” Redpoint Ventures partner Tomasz Tunguz told Business Insider. 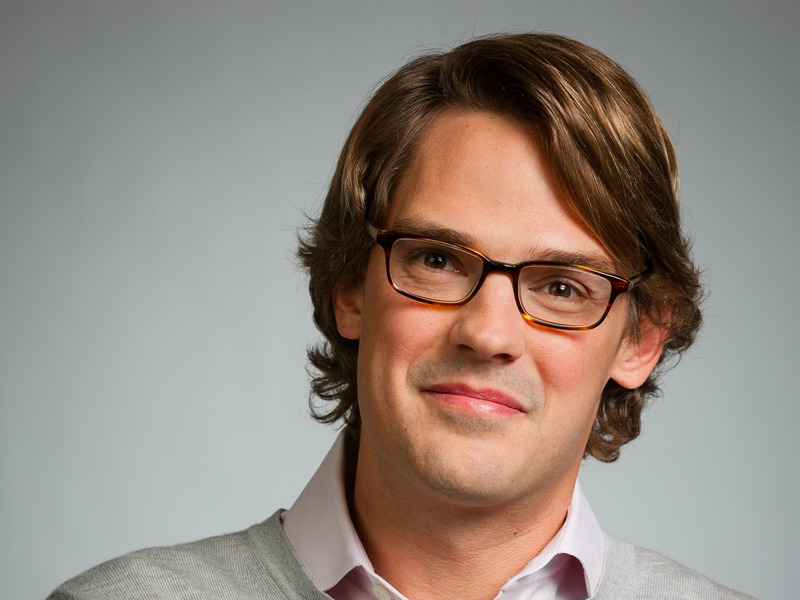 ThredUp’s case is one of the many data-analytic studies Tunguz has collected over the years as a VC. After spending three years as a Google product manager, Tunguz has been able to bring his data obsession to the VC world, where he primarily invests in the growing cloud-software space, also known as software-as-a-service (SaaS). “In the future, the only asset that the companies really have to differentiate themselves is data,” Tunguz says. Tunguz says his time at Google really helped him hone his data-analytics skills. And once he became a VC, it only became clear that his data-driven approach was going to help a ton of startups. “I was having board meetings with founders, and they were asking data-driven questions. But we were all kind of answering them anecdotally,” Tunguz says. That inspired Tunguz to put his findings into his own blog. And now, after years of writing one blog post every weekday filled with all kinds of charts and data, his blog has become one of the most popular destinations in the cloud-software space. Every day Tunguz wakes up at 5 a.m. to write his blog post. They cover a vast array of topics, including how the $26 billion Microsoft-LinkedIn deal impacts the rest of the startups and the macro-economic implications on startup valuations. Tunguz says enterprise cloud software is an exciting space because 75% of all VC money flows into the enterprise, while only 15% of the software revenue comes from the cloud vendors. Plus, unlike consumer businesses that use all kinds of different metrics, SaaS companies stick to a certain number of common stats to gauge the health of their businesses, such as annual recurring revenue, customer-acquisition cost, and payback period. Start with a beachhead customer base: You can’t tackle the whole market from the start. Find people who are willing to use your software even before it’s fully built, and expand from there. Have a strong go-to-market strategy: Even if you have a killer product, you need to be able to sell in the market. Establish a killer team of sales, customer success, and sales-development representatives early on. Understand the unit economics: Numbers don’t lie. Have a deep understanding how much it costs to sign up new customers and how long it takes to make up for that cost. Master the cash flow of the business: Cloud software could have complex contract structures and different payment periods. Make sure you know when you get paid and, if possible, structure the contract in a way that you would get paid in advance. Correction: June 20, 2016. A previous version of this story quoted Tunguz as saying that Warby Parker used hand sanitizers at its flagship store to improve a decline in the sales and customer satisfaction rating. That story was inaccurate, according to Warby Parker and to Tunguz, who has acknowledged the error.